Tony Asquith has sent me an update on the LBC Model kits range. 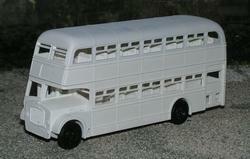 You can find contact details & a full list of all the other proposed kits on the LBC Model Kits page. That latest edition of Globe indicates that the following models are among the next batch of Oxford Diecast releases. 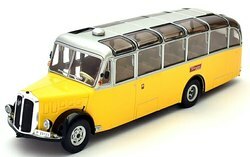 Update 18th April: These models have now been released by Oxford Diecast & should reach model retailers shortly. 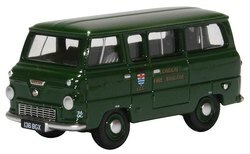 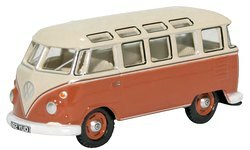 The first version of the Volkswagen T1 Samba bus in 1/76 scale is also included in this latest batch of releases along with the London Fire Brigade Ford 400E minibus. 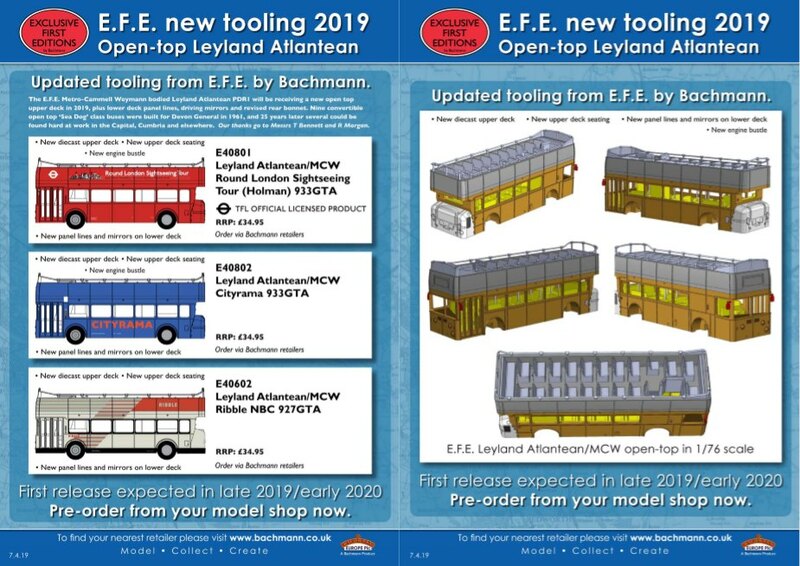 I've received the following press release & associated PDF Release Sheets from Bachmann regarding the new EFE Cravens bodied RT bus tooling announced yesterday at the London Bus Museum and some updates on new Sea Dog open top Leyland Atlanteans & Northern Counties Palatine double deck bus models. 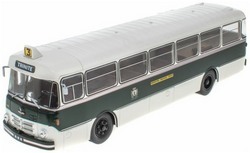 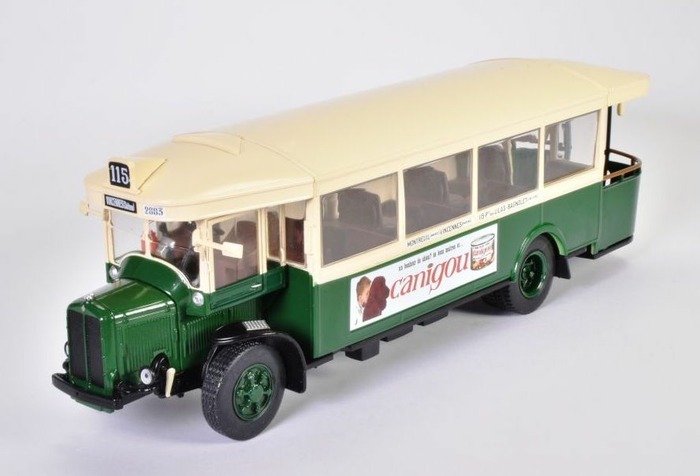 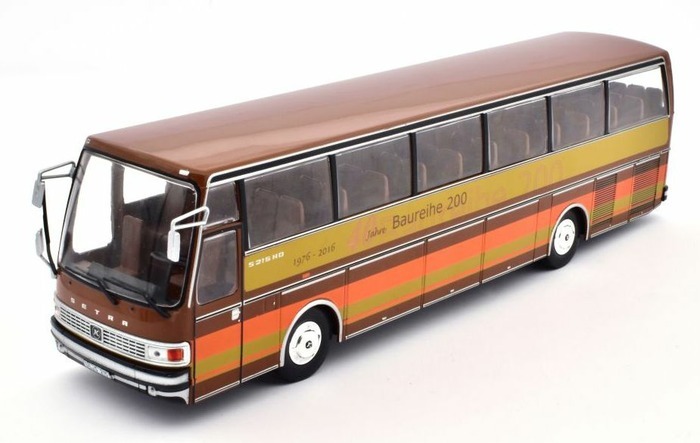 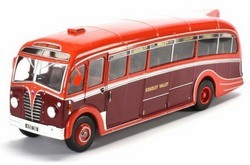 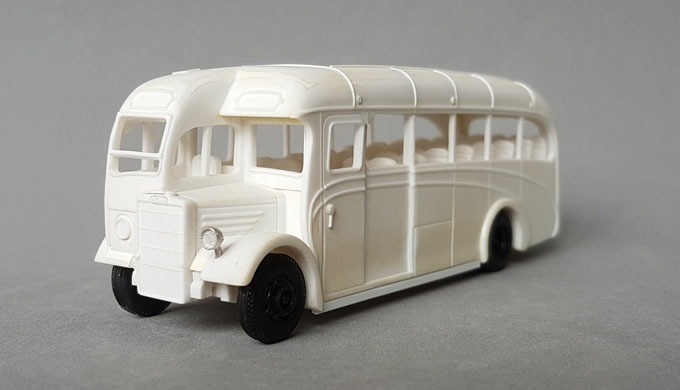 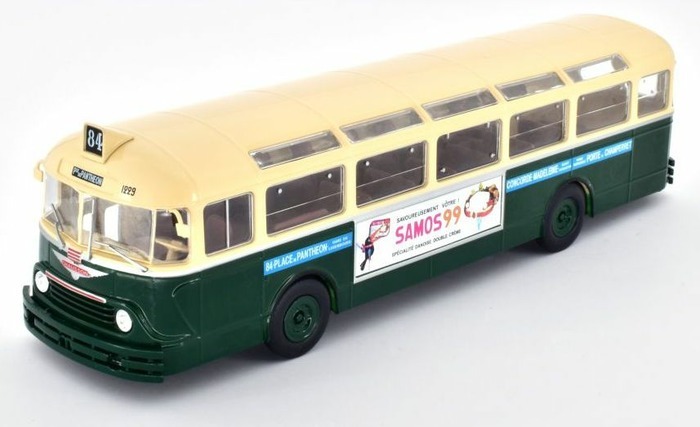 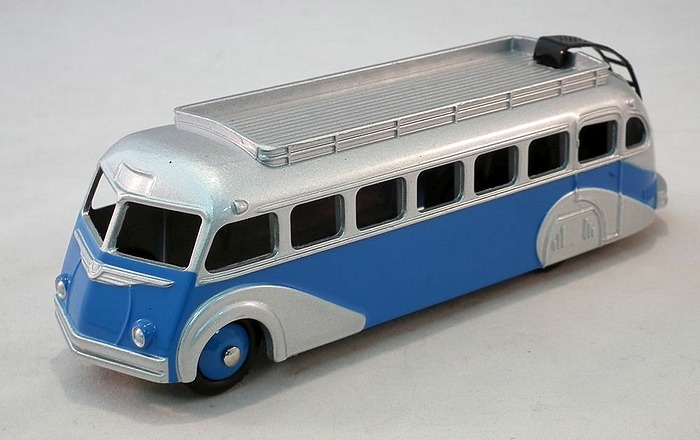 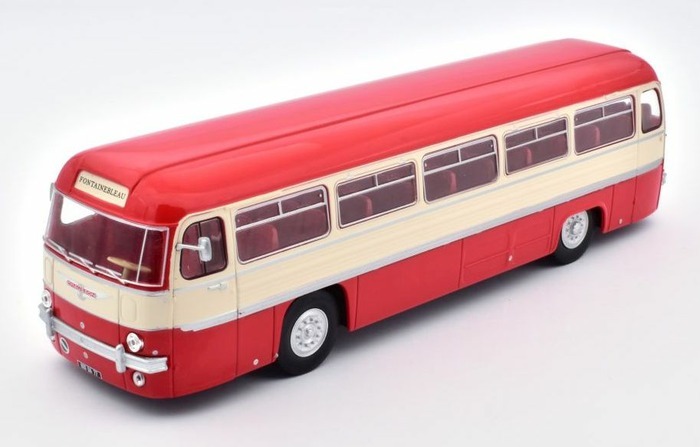 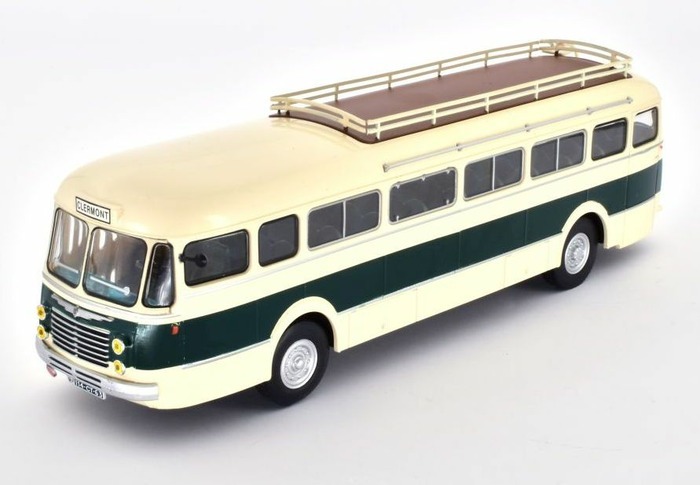 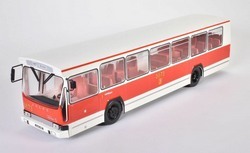 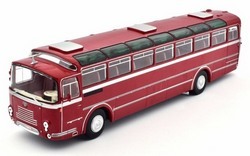 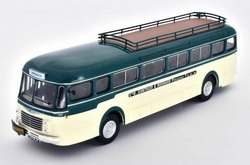 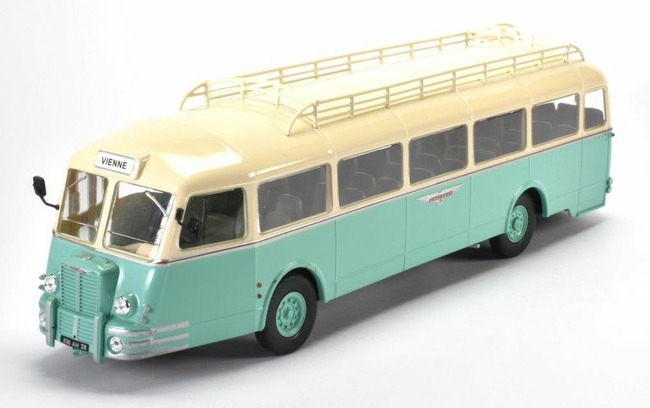 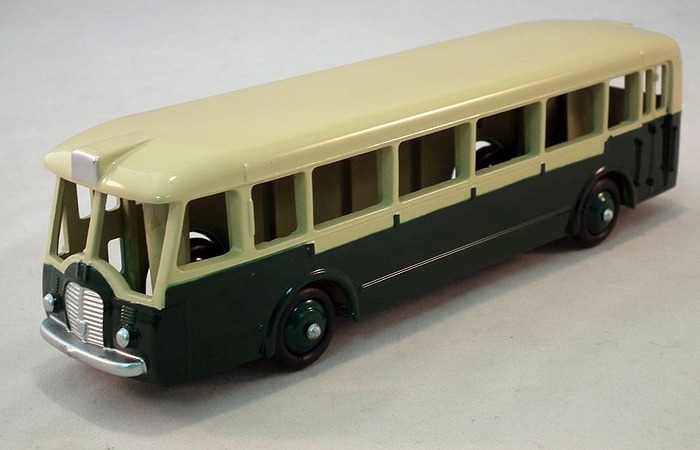 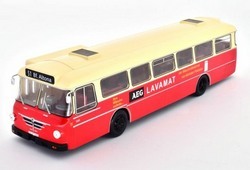 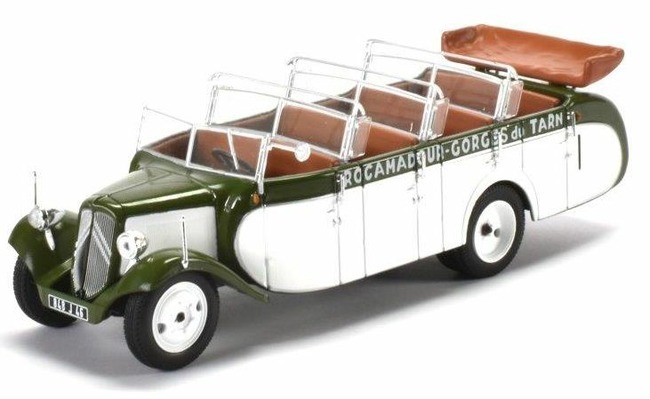 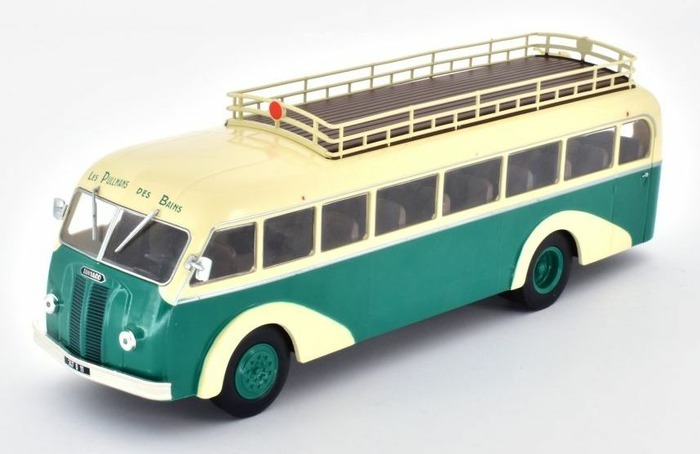 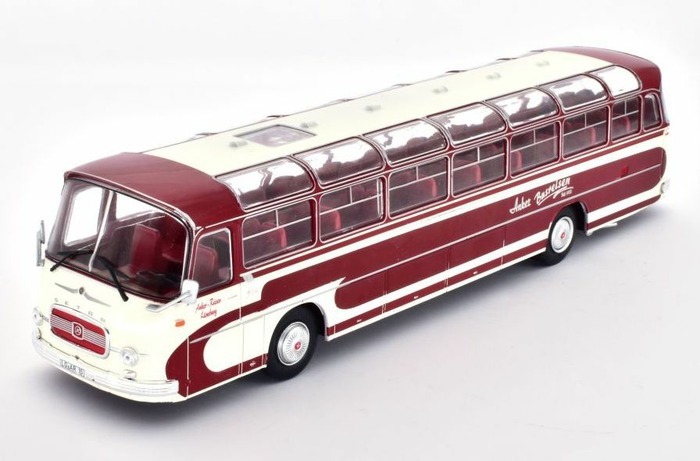 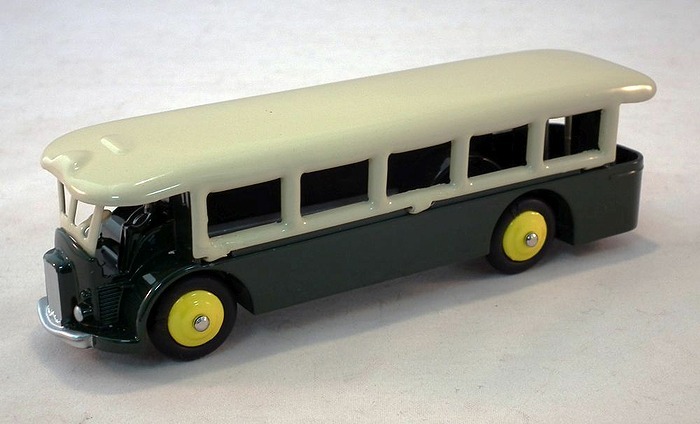 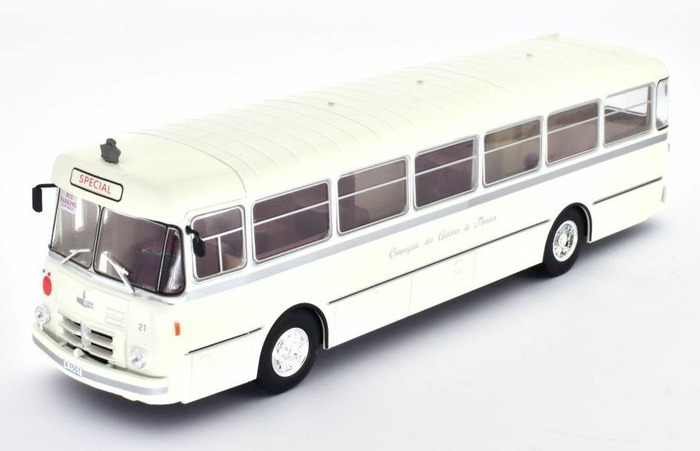 At the London Bus Museum�s Spring Gathering, held at Brooklands, Surrey on Sunday 7th April 2019, Bachmann Europe announced a brand new 1/76 scale model of the Cravens RT bus for its Exclusive First Editions range. 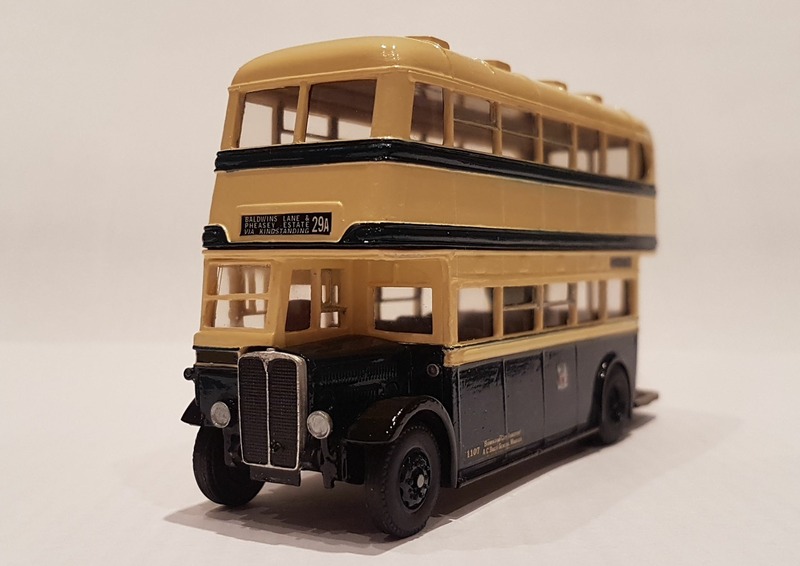 In the early post-war years when coachbuilders Park Royal Vehicles and Weymann were at full capacity and unable to fully meet London Transport�s enormous requirements for new RT buses, tenders to supply were sent to other manufacturers. 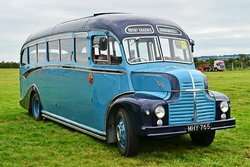 Saunders Engineering of Anglesey and Cravens Railway Carriage & Wagon Co. of Sheffield built 300 and 120 RTs respectively. 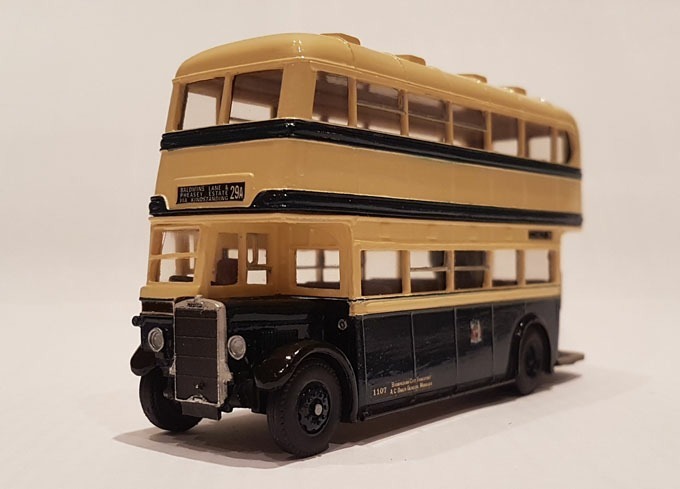 Saunders RTs were similar to standard RTs in many respects and were interchangeable with the Park Royal and Weymann bodies on overhaul, but Cravens RTs were quite different. 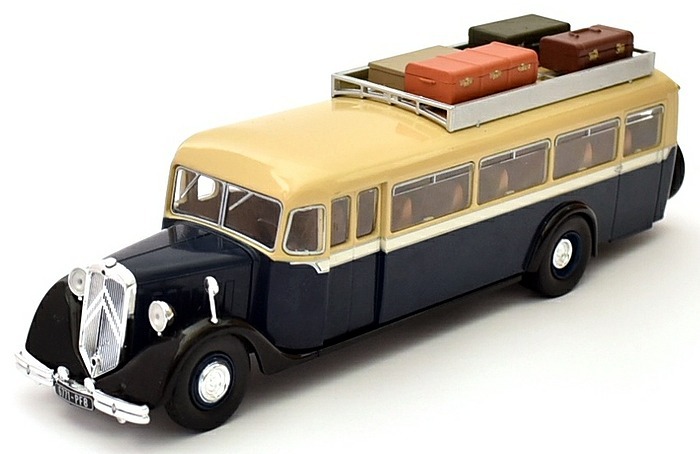 The 5-bay window design could not be mixed with standard bodies at overhaul, and although wellbuilt, all except one were sold when only seven years old. 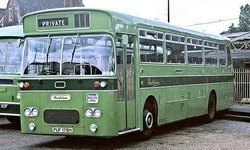 Cravens RTs were quickly bought by independent bus operators, glad to acquire youthful London-spec vehicles in excellent condition and gave long reliable service to their new owners in many parts of the UK. 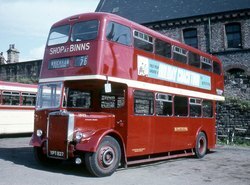 Today two complete Cravens RTs are preserved in full running order, RT1431 and RT1499, both with Ensignbus. To coincide with the announcement, Bachmann hired one of the preserved vehicles (RT1431) to attend the event and in doing so members of the Bachmann Collectors Club were offered the chance to ride on the bus to and from the event. For the first time, members of the public are invited to join the design process by letting us know which routes, destinations and fleet numbers they would like to see applied to the initial models. 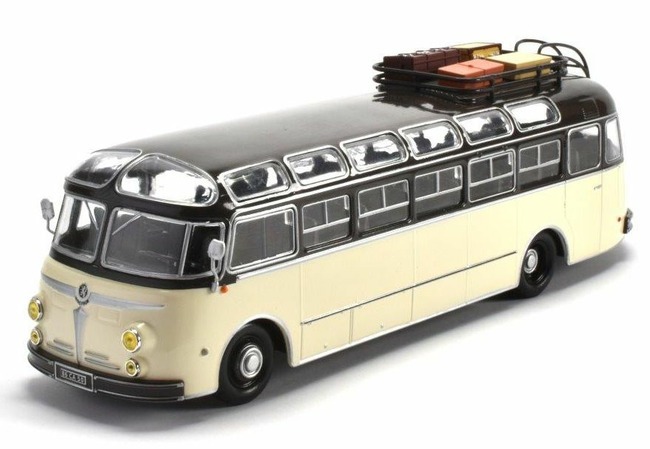 Suggestions are invited by post: The Bus Works, Bachmann Europe Plc, 13 Moat Way, Barwell, Leicestershire, LE9 8EY or email: by 30th June 2019. 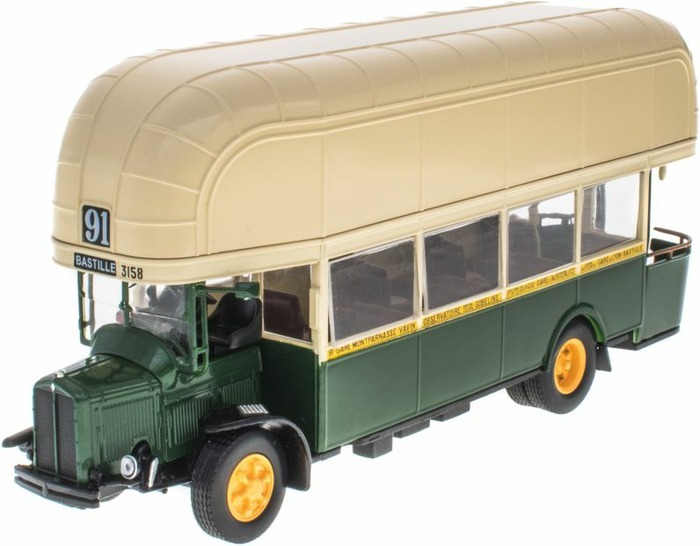 Bachmann attended Brooklands today for the London Bus Museum's annual Spring Gathering Event, as promised they revealed another new bus model for the EFE range. The new model will be a Cravens bodied version of the London RT bus. 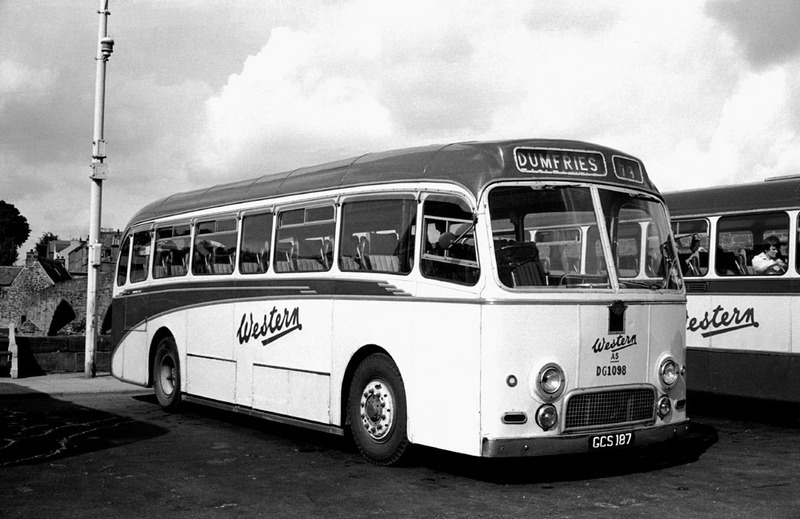 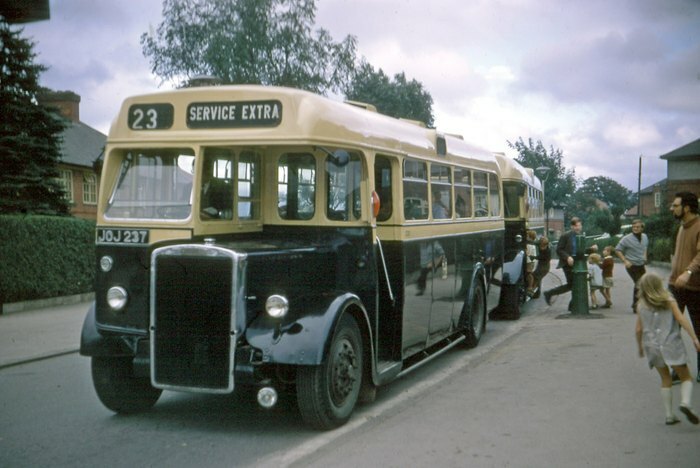 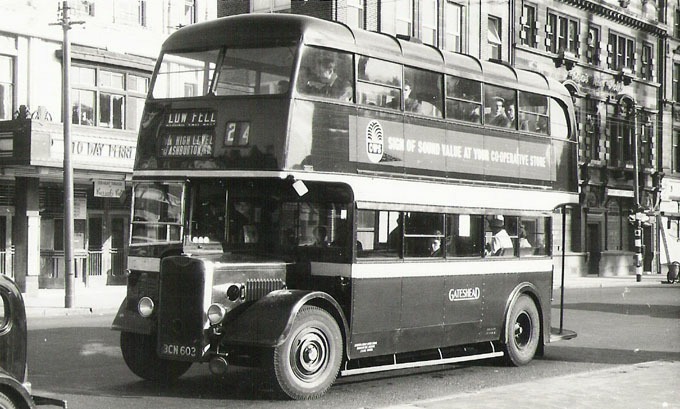 These Cravens bodied vehicles were notable in having more side windows than other RT vehicles bodied by Weymann & Park Royal. 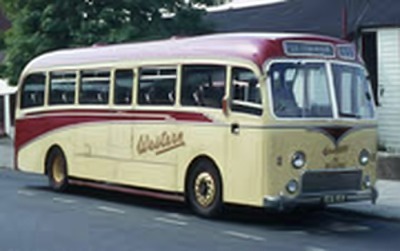 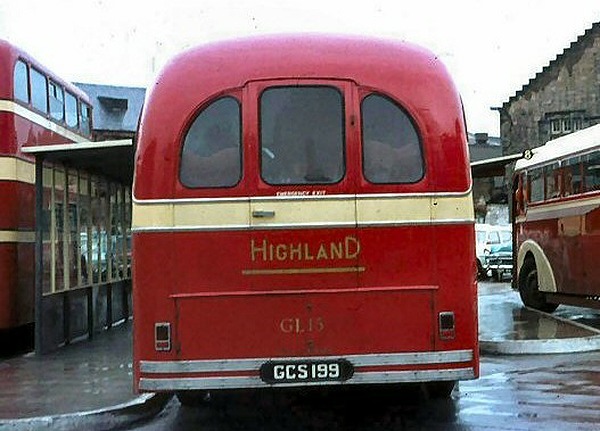 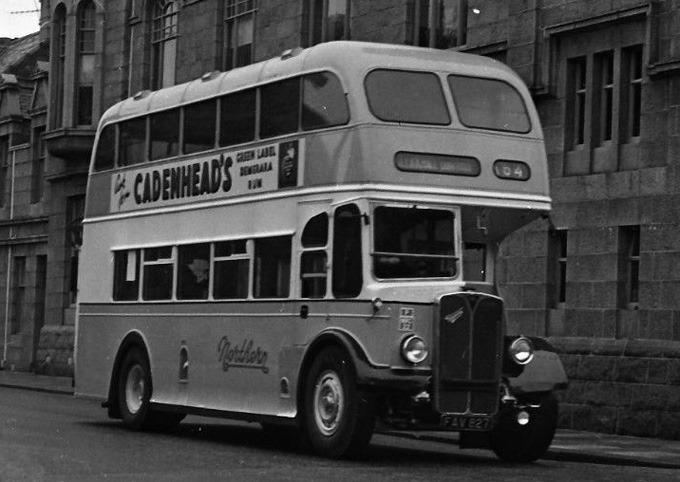 They were the first of the class to be withdrawn and many were snapped up by other smaller operators after a relatively short life with their original owner. 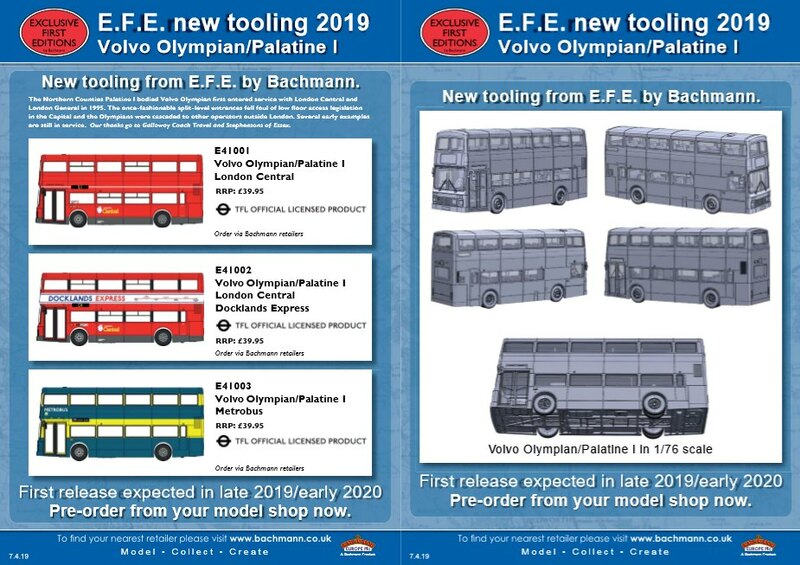 Four versions have been announced and Bachmann are asking for suggestions as to which vehicles & routes should be depicted on each. 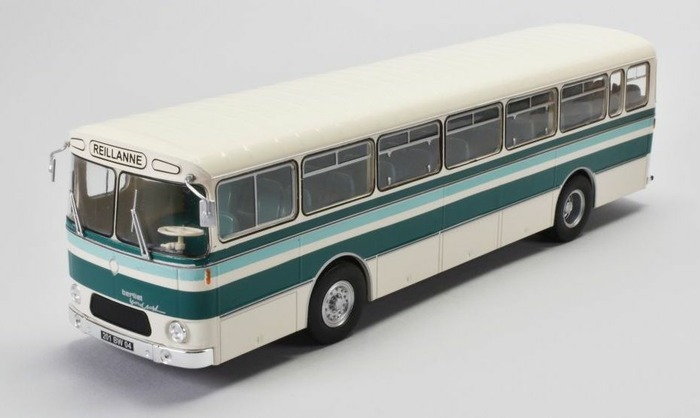 The models are due to be released in late 2019 or early 2020 and will have a single piece diecast body and new plastic internal detailing which includes grab rails. The suggested RRP will be £39.99. 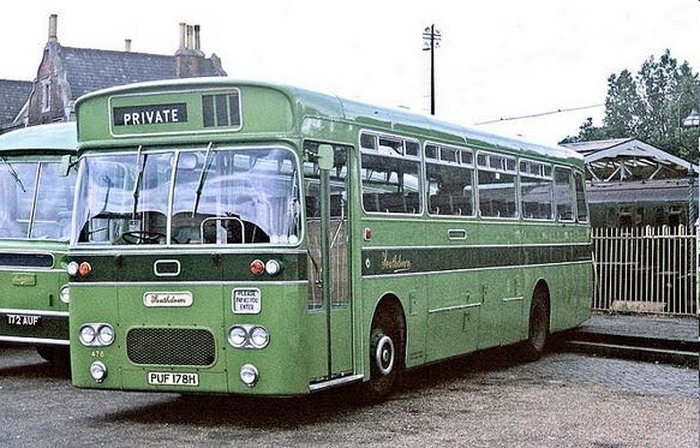 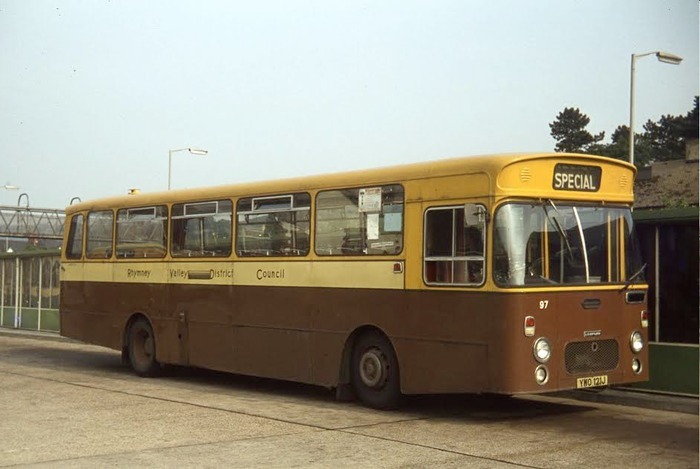 There were also updates on the Northern Counties Palatine & Sea Dog open top Leyland Atlanteans which are also now expected to be released in late 2019 or early 2020. 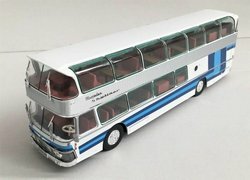 Finally there were samples of the upcoming London Transport Golden Jubilee Leyland National E16611 & Blue Browns RT E34116 which look set to be released soon. TTC Diecast have posted a photograph of the pre-production sample of their forthcoming Manchester Mancunian double deck bus model on Facebook. 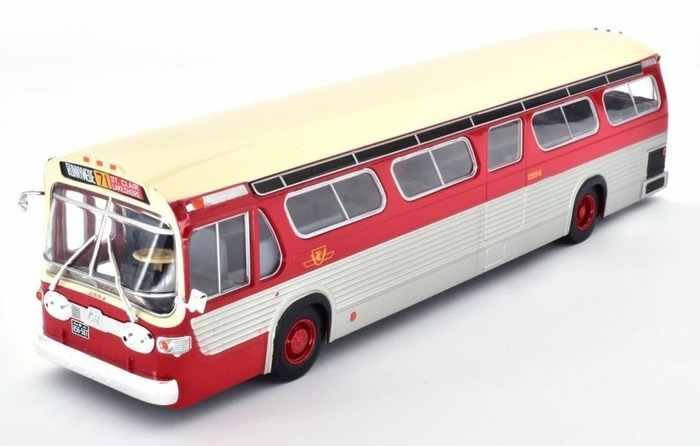 This model is expected to be released later this year. 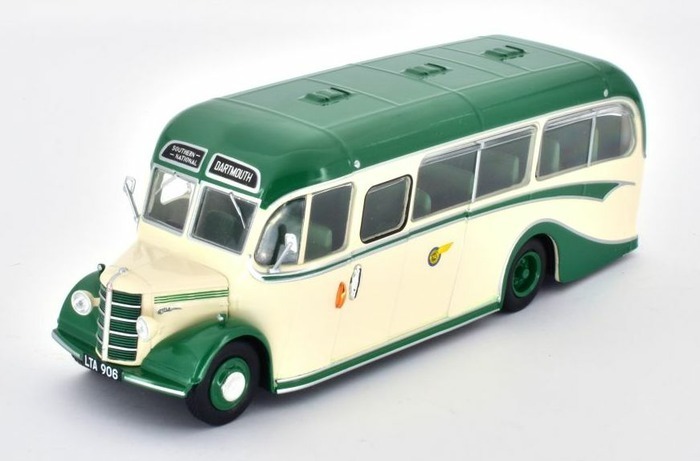 Oxford Diecast have now opened a new Facebook page and one of the recent posts gives details of how to obtain a replacement seating unit for the Southdown Beadle integral coach model 76BI004 which was issued late last year with the wrong version of the unit fitted. LBRT Model Bus Transfers have just released a brand new batch of eighty plus new waterslide route transfers for 1/76 scale models. 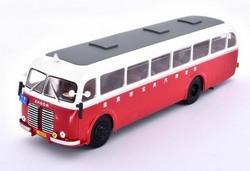 Further details & images of all the new & existing transfers can be found on the www.lbrtransfers.co.uk site. 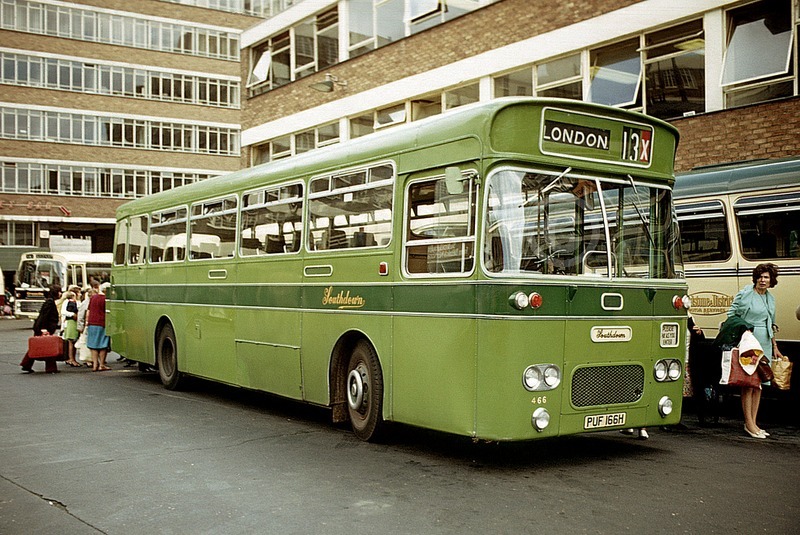 The majority of the new transfers are new route destination blinds for London Transport RT class vehicles. 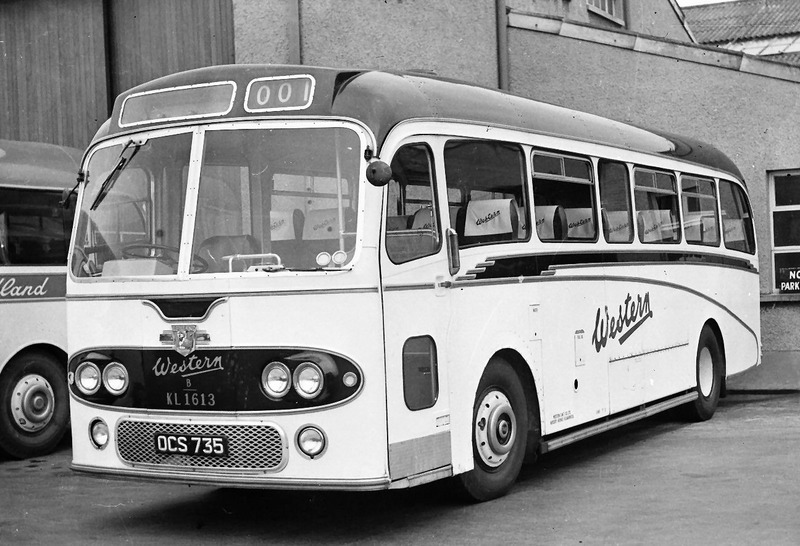 Most include two versions of the intermediate blinds with the earlier upper case only & the latter style mixed case lettering. 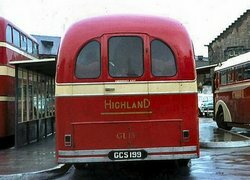 In addition to the above new routes there are some special blinds. 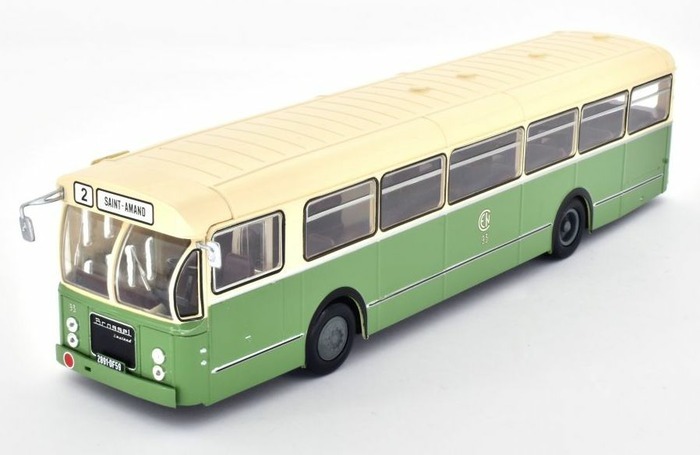 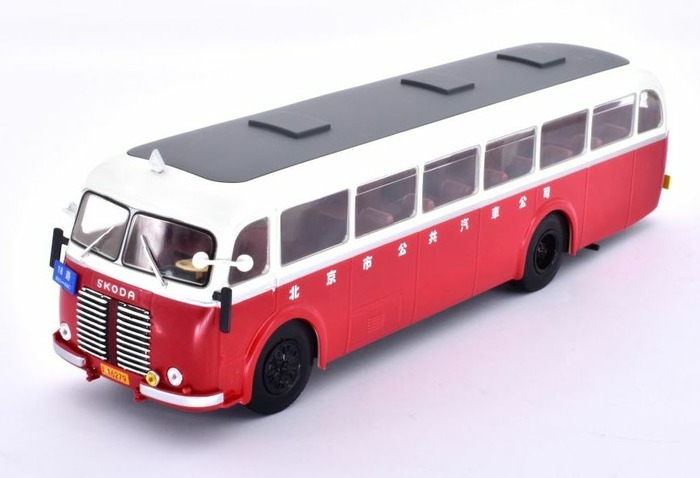 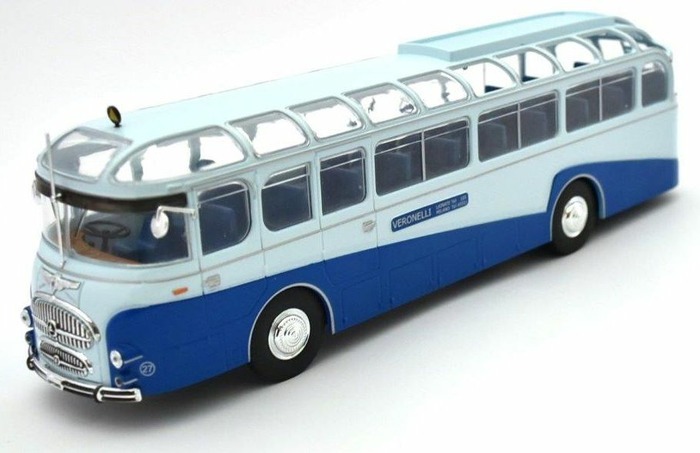 Northcord Models have issued the following press release for model UKBUS6509 which has now been released in Hong Kong and is expected to reach UK model retailers during April or early May. 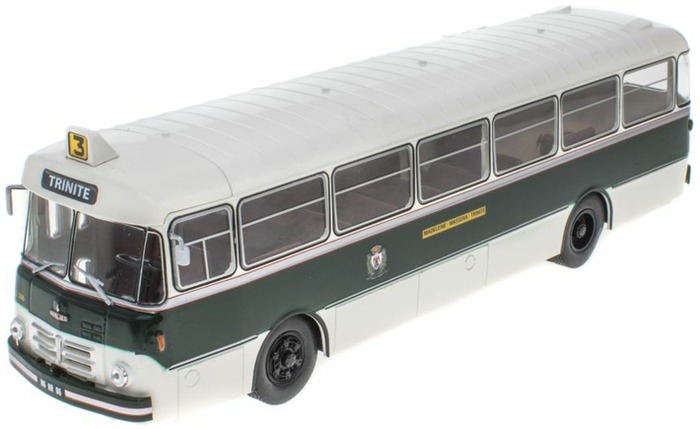 Note the vehicle depicted is different to that originally announced by NMCL last year. 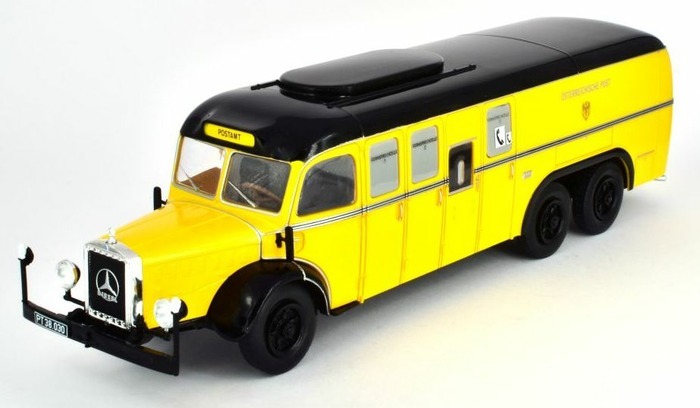 Northcord Model Company is pleased to announce the release of UKBUS6509, the third release of the long awaited 10.3 metre 2-door casting of this distinctive, modern, double-decker in the United Kingdom. 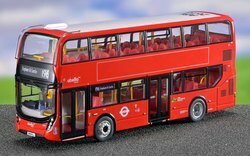 The third livery to be carried on the brand-new Alexander Dennis Enviro400H MMC model, is Abellio London with standard London red livery. 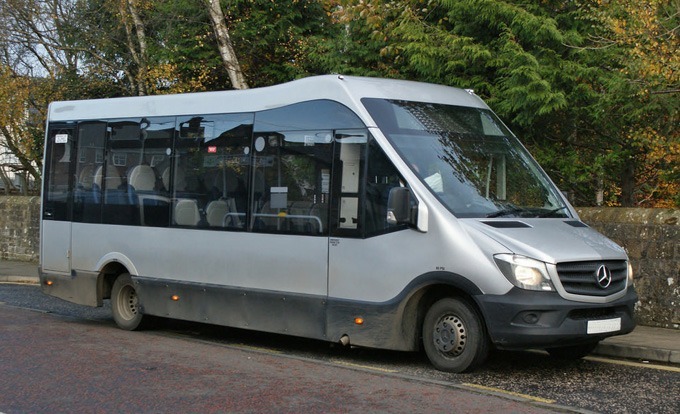 UKBUS6509 represents fleet number 2616 (SN18 KLJ) that has 10.3 metre, dual-door bodywork and was new to Abellio London in 2018. 2616 has a Euro6 hybrid driveline and the newly released model demonstrates the special cooling apertures that are appropriate to this hybrid bus. 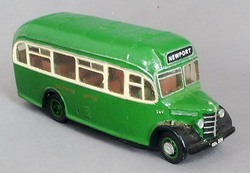 The model carries the roof fleet number ABL2616. This bus is based at Abellio London�s Walworth Depot where it operates on busy route 196 which runs between Elephant & Castle and Newington Causeway. 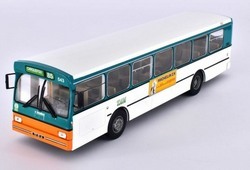 The Alexander Dennis Enviro400H MMC UKBUS6509 is a one-piece casting whose clean lines accentuate the square-cornered, patented quick-release windows of the real bus and the livery application on which all logos and lettering are clearly legible. Another main feature on the UKBUS6509 model is its dual individual tree protectors at the front. The front dome on the model is significant, with curved windscreens on both upper deck and lower deck. 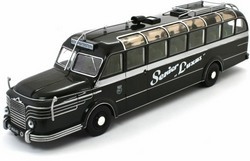 Northcord Model Company is also creating new design standards within the interior of both saloons. These features, inside the compartments, will represent the real, outstanding layout of the Enviro400H MMC, such as the additional ventilation equipment on the upper deck ceiling, and the extensive portrayal of handrails on upper deck and lower deck, etc. The brand new Enviro400H MMC bus models will be distributed by John Ayrey Die-Casts Limited (UK), Porte Publishing Company (Japan), 80M Bus Model Shop and Concorde Hobby Shop (HK) respectively. The UKBUS6509 model is limited to 1200 pieces worldwide. 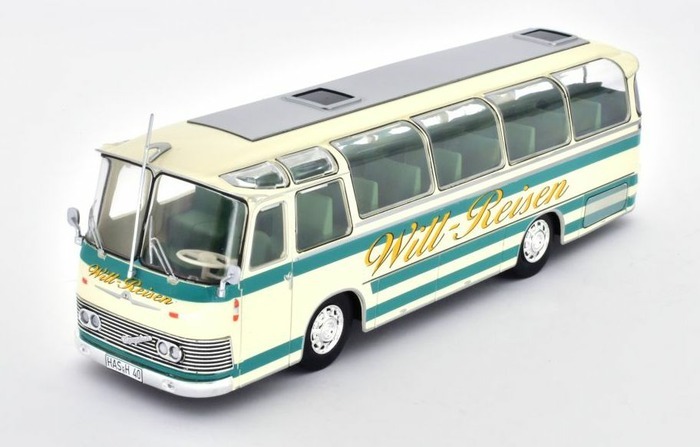 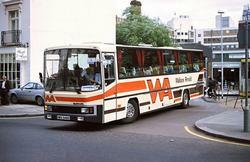 The World�s Miniature Bus Co. 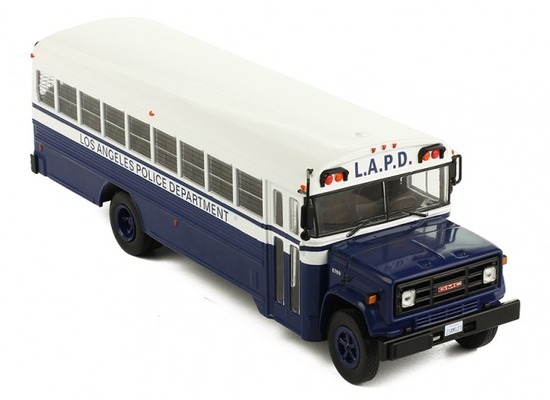 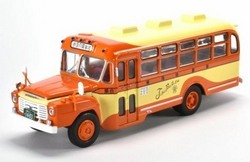 According to Wholesaler John Ayrey Diecast's website, the latest IXO 1/43rd scale bus to reach the UK is a Los Angeles Police Department GMC 6000 single deck bus dating from 1988. The model has a RRP of £53.99. 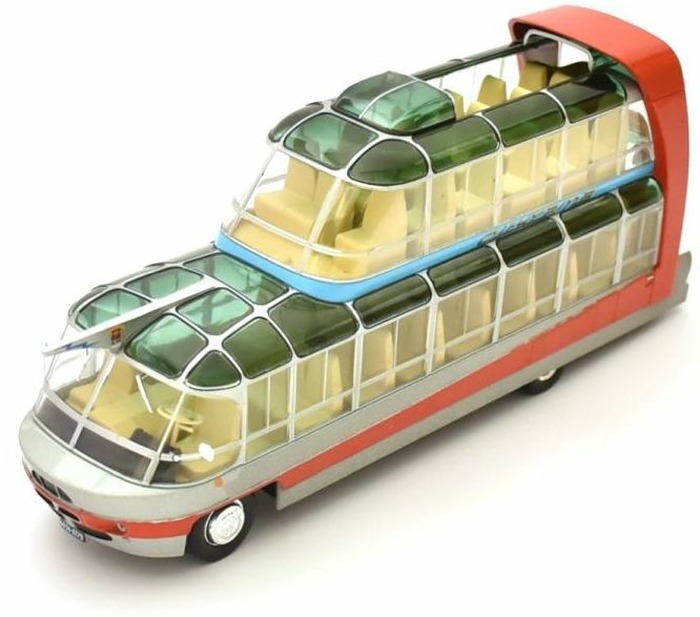 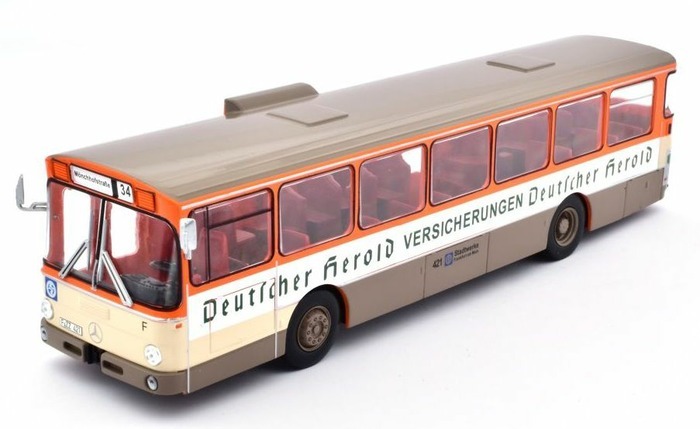 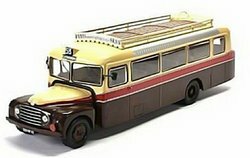 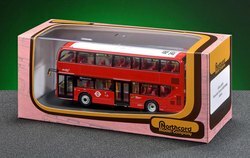 The latest batch of IXO releases doesn't appear to include the expected Open Top London Transport AEC Regent III RT model (BUS018). MMK042 1937-40 Metro-Cammell H54R 'Birmingham Standard' Exposed Radiator. 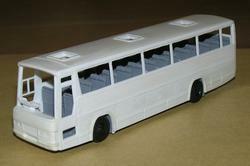 Includes route stencil holder. 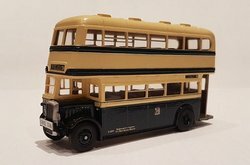 MMK046 1938 Northern Counties H54R. 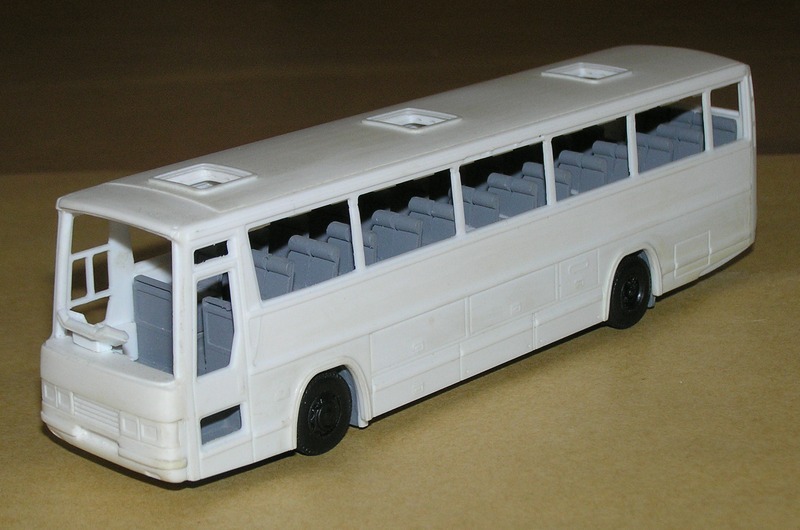 Comes with optional sliding door conversion part. 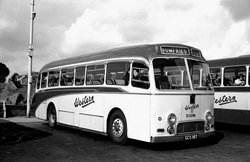 MMK056 1958 Plaxton 'Consort' C41F Coach. 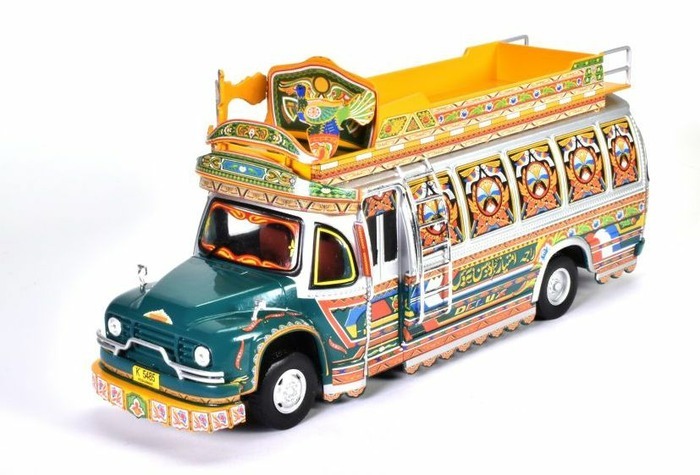 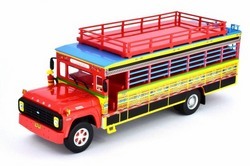 Wholesaler John Ayrey Diecast has secured a further selection of models from Hatchette Buses of the World partwork series, the RRP for these is once again £29.95. 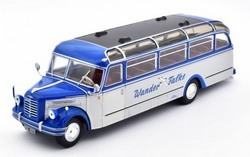 These are expected to available from UK model retailers during April. 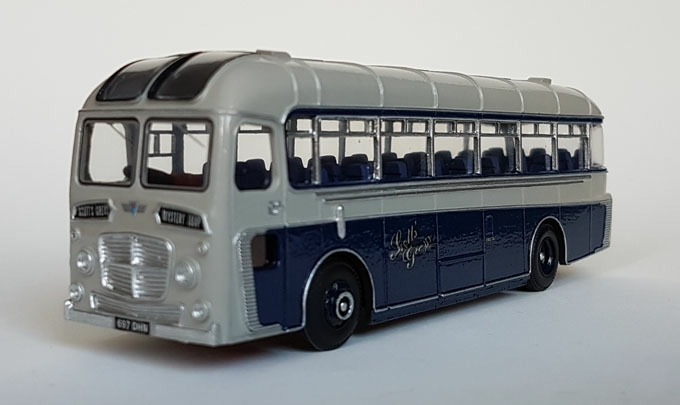 The Yardley Wood Bus Club will be stocking these for £15 plus delivery and have advised that there are further models to those currently listed on Ayrey Diecast site and orginally posted here yesterday. 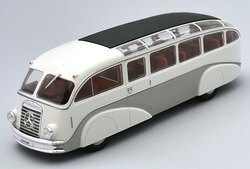 Available stock of some models is very limited. 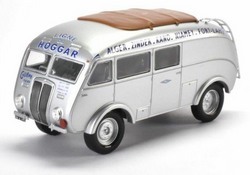 Here's a full list of all 50 models that have been secured by Ayrey Diecast. 31 of these will be exculsive to the Yardley Wood Bus Club. 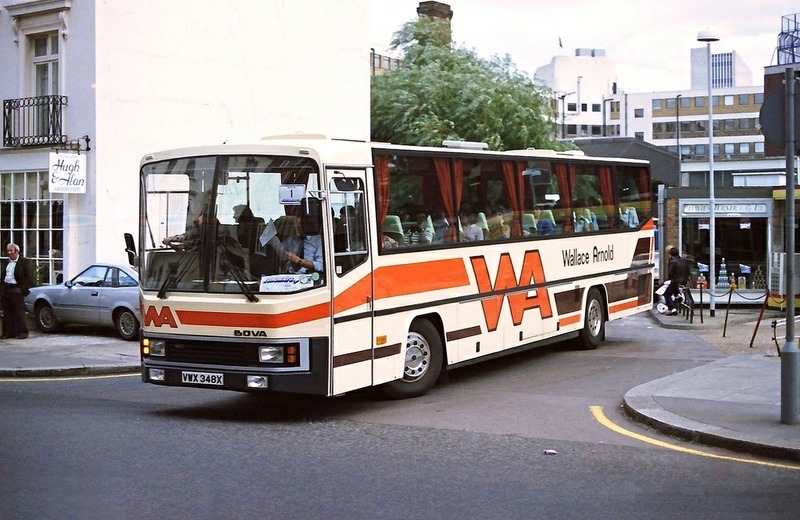 TiNY have made some revisions to their previously proposed new kits for 2019. 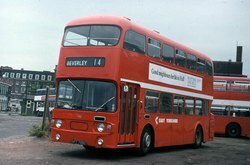 The following kits have either been transferred to other suppliers or cancelled. 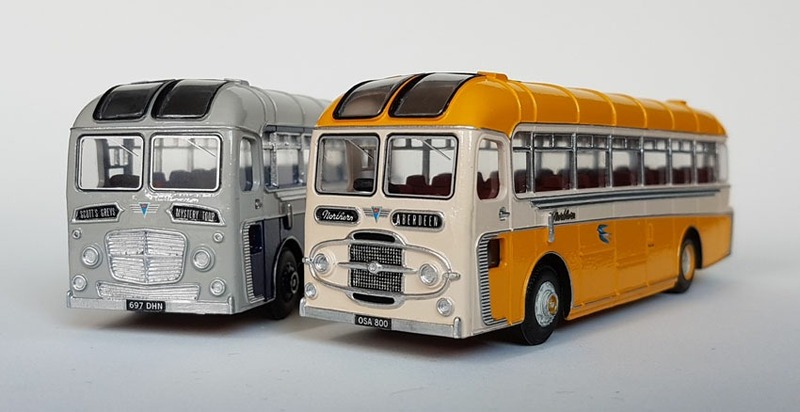 A full list of the other kits still planned for 2019 can be found on the TiNY kits page. 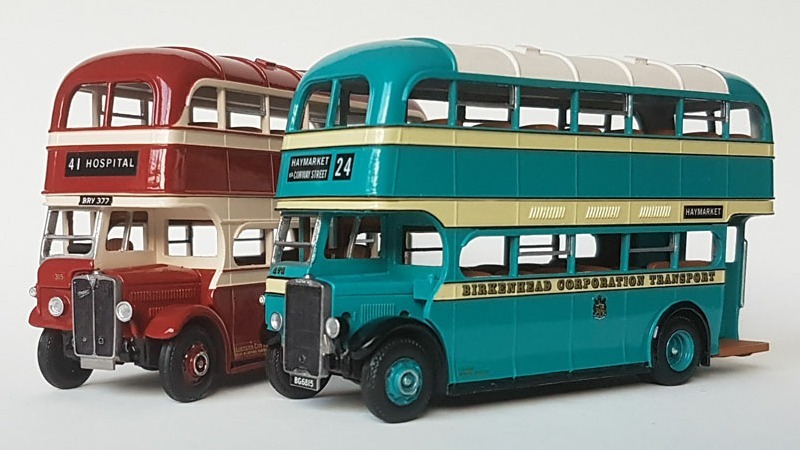 Bachmann have announced that their Roadshow will be attending the London Bus Museum's Spring Gathering event at the Brooklands Museum on Sunday 7th April. 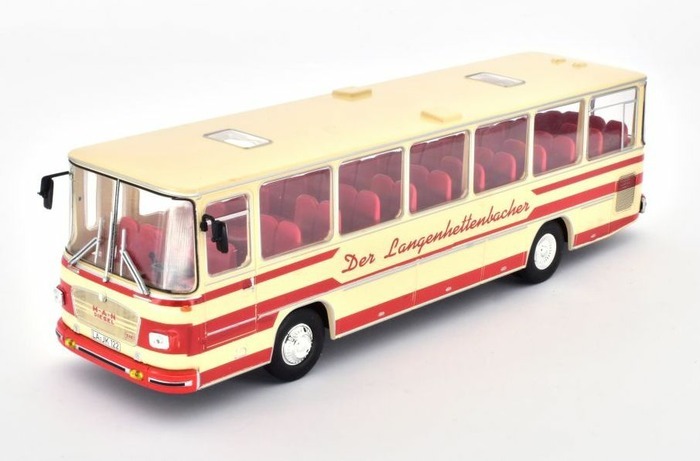 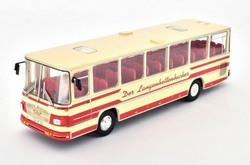 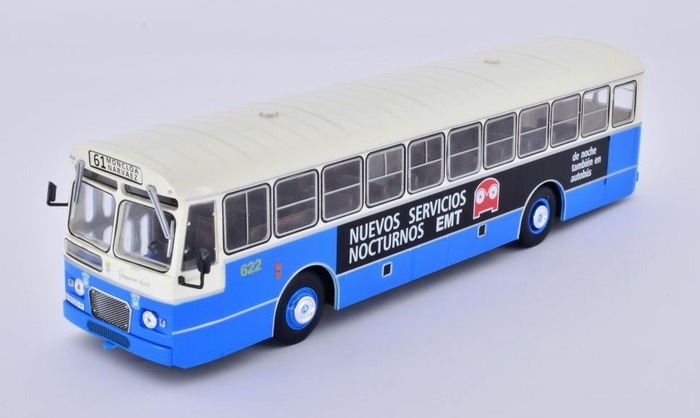 They will reveal details of their "next all-new 1/76 scale bus" at the event and are also offering members of the Bachmann Collectors Club the chance to travel to & from Lakeside to the event on the real vehicle for free. 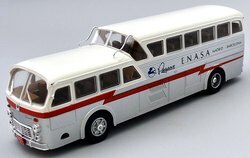 Each passenger for this unique trip will receive a goody bag including several items, one of which will be a special EFE model which cannot be bought in the shops! 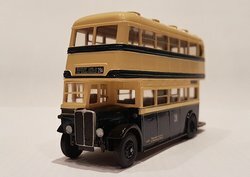 Further details can be found on the Bachmann site, these include details of how members can apply for tickets for the bus ride. 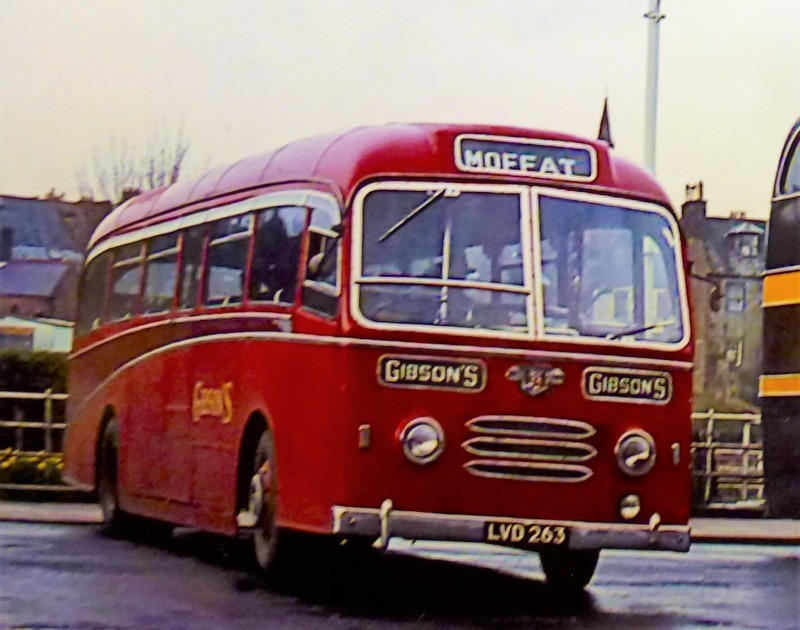 This year's London Bus Museum Spring Gathering will include the usual Classic Bus Show, large enthusiasts market, bus rides & other attractions. 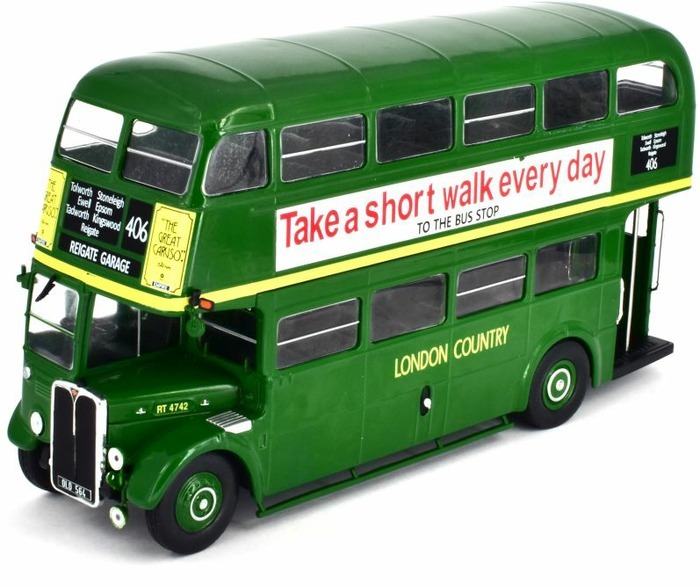 The theme of the event is the RT bus, commemorating the 80th anniversary of them entering service, and 40 years since the last RTs carried passengers in London. 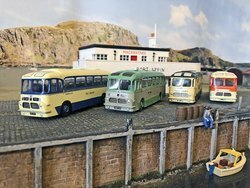 Further details can be found on the Museum's site, advance tickets can be booked for the event at a reduced rate via the site. 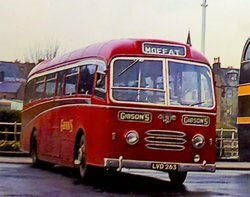 The Museum is organising another event in Barking, East London on the Saturday 30th March, this will mark the 40th anniversary of the withdrawal of the last London RF & RT vehicles in 1979. 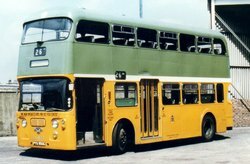 This event will include an Open Day at Stagecoach London's Barking Bus Garage & a vehicle display at the River Road Garage of Go Ahead London. These locations will be linked by free RT services on routes 62 and 23C, plus other free services. 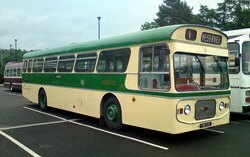 At the end of the day, there will be an RT procession to remind us of the procession held back in April 1979. 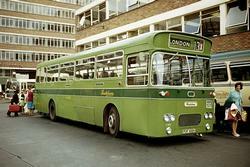 Further details can be found on the London Bus Museum site. 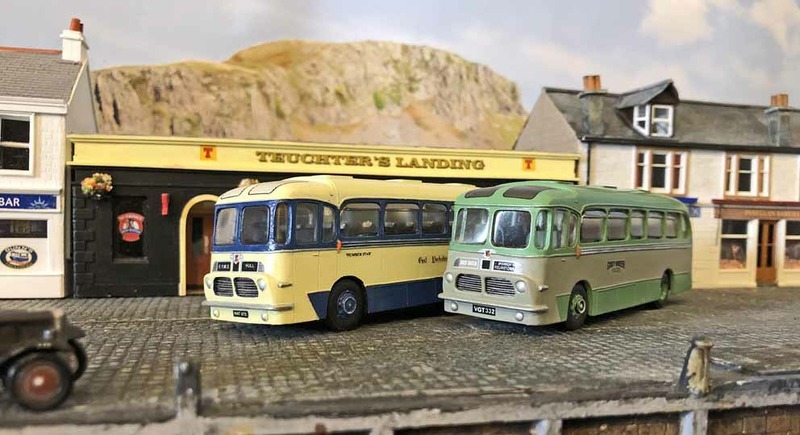 The BBC has just broadcast part one of a two part series that takes a look at Hornby Hobbies and follows the attempts to turn the company around follow losses of over �30 million in the previous five years. 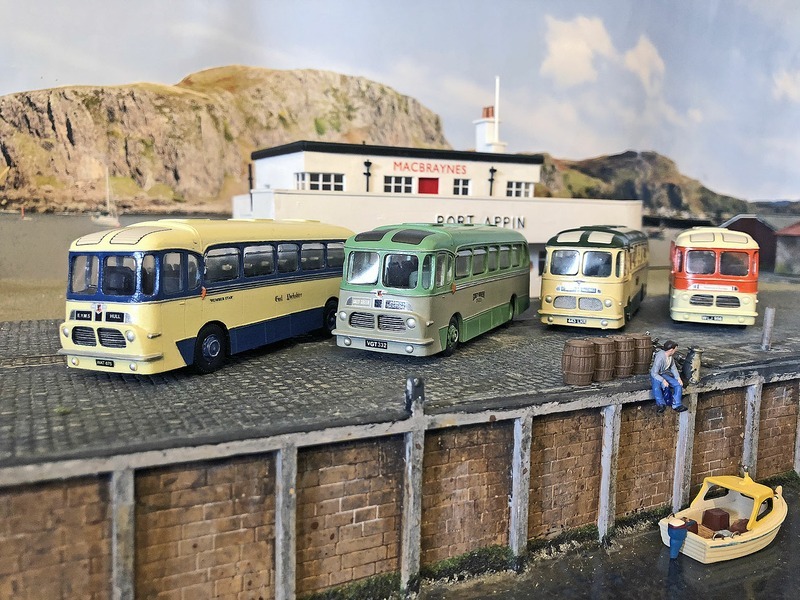 The first episode focused mainly on the Hornby Railways & Airfix side of the business, it included contributions from the new CEO Lyndon Davies and Director Simon Kohler, who has returned to the company after a five absence. The programme is presented by James May (Top Gear & The Grand Tour), in his slightly tongue in cheek style, the second part will be broadcast next Wednesday (13 March) at 9pm on BBC4. The first part of "James May's Big Trouble in Model Britain" is now available on the BBC iPlayer and will also be repeated on BBC4 on Sunday evening (10 March) at 8pm. 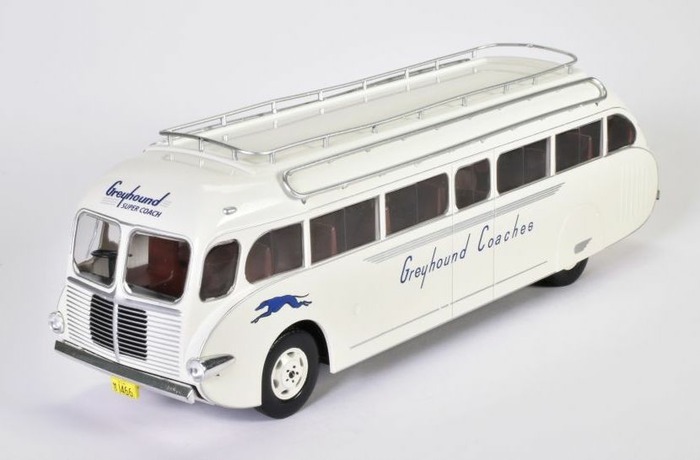 There was no mention of the Corgi range in the first episode, but nonetheless an interesting programme. 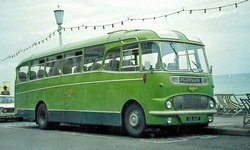 One rather shocking revelation was that the former management team had scrapped thousands of tooling moulds stored at the original Margate factory! 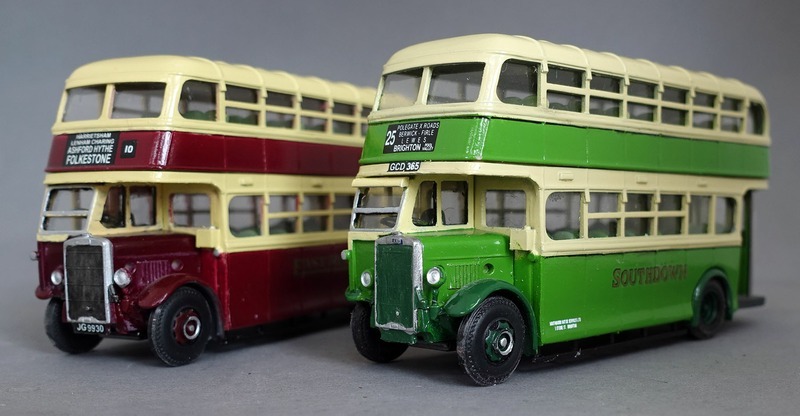 More details and an iPlayer link can be found on the BBC Website. These models are expected to be released in the UK either later this month or in early April. 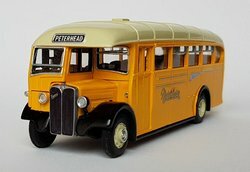 This is the press release issued by Northcord Models upon their release in Hong Kong last month. 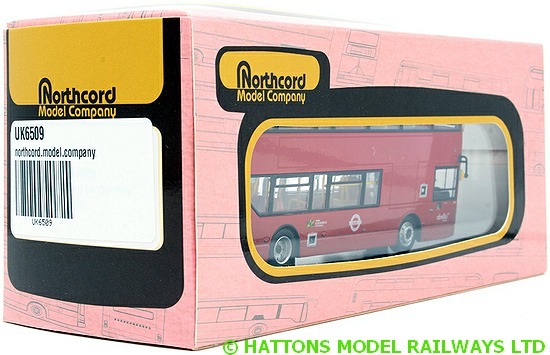 Yes, I know I'm a bit late reporting this, but Northcord don't send these to me, so I have to search the internet when I get the time! 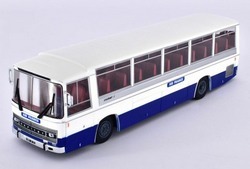 Following the significant success in launching the brand new casting of the Alexander Dennis Enviro400 MMC model in the livery of Go-Ahead London, National Express West Midlands, Stagecoach London & Stagecoach in Oxfordshire, First Bristol, Reading Buses and Bluestar, Northcord Model Company is releasing the tenth and eleventh versions - ukbus 6508A and ukbus 6508B - in the livery of Platinum X1 of National Express West Midlands. 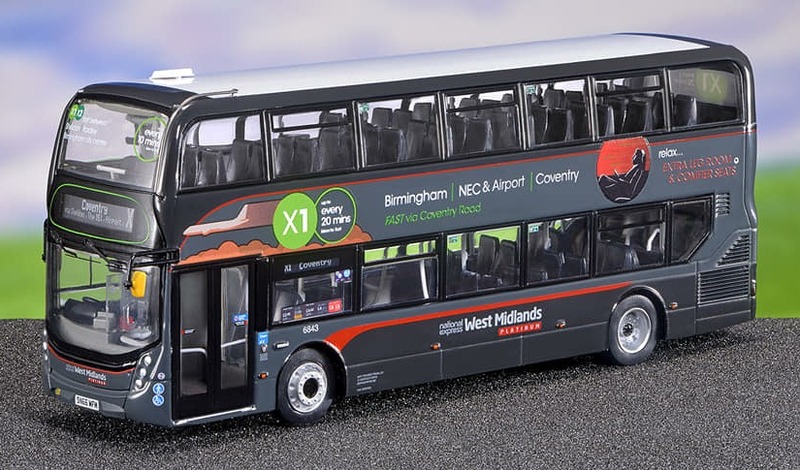 ukbus 6508A / 6508B represents fleet number 6843 (SN66 WFM) that has 10.9 metre, single door bodywork and was new to National Express West Midlands in 2017. 6843 carries a full and colourfully branded livery for Platinum X1. 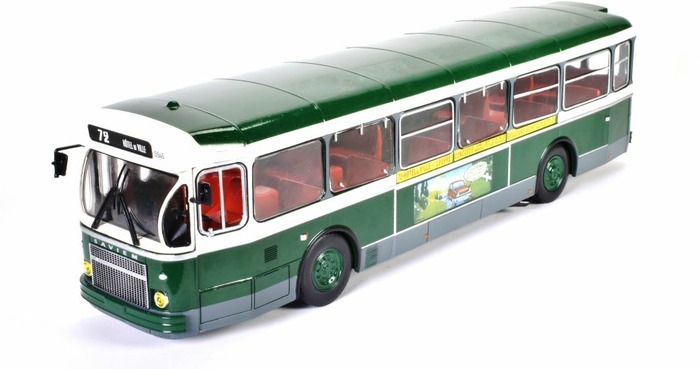 The special, comprehensive livery and branding are 100% reproduced onto the ukbus 6508A and 6508B models. 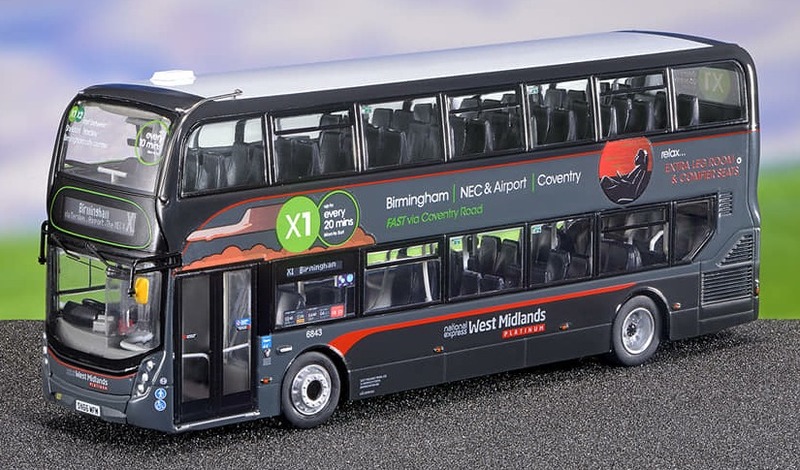 The stand-out features of the branding are : �Birmingham I NEC & Airport I Coventry�, �up to every 20 minutes� frequency, and the prominent route number �X1� along with the key locations served that are repeated on each side (�Fast via Coventry Road) and on the front, upper windscreen and the rear (Fast between Sheldon, Yardley, Birmingham City Centre�). Fares details are carried in the first nearside window. On the nearside panels and engine access door, wording refers to the extra legroom available on board in addition to the �comfier seats� whilst the offside advertises the �greener emissions, free WiFi and next stop announcements�. 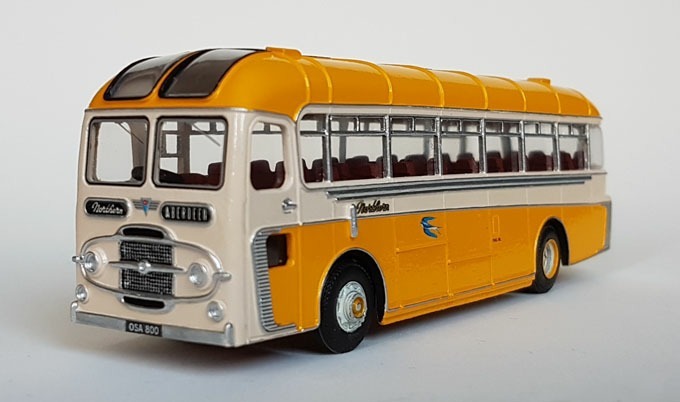 The model also correctly portrays the name �Connie� that is carried on the front, below the windscreen on the nearside, and on the rear, at the top of the engine cover on the offside, of the bus 6843. Both ukbus 6508A and 6508B operate on route X1. 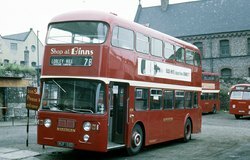 ukbus 6508A is showing the destination Coventry, whilst ukbus 6508B shows Birmingham. 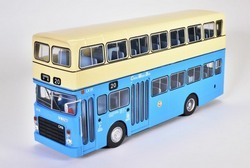 The Alexander Dennis Enviro400 MMC ukbus 6508A / 6508B is a one-piece casting whose clean lines accentuate the square, gasket-mounted windows and the livery application on which all logos and lettering are clearly legible. Another main feature on the ukbus 6508A / 6508B models is the provision of a single tree protector at the front. The front dome on the model is significant, with curved windscreens on both upper deck and lower deck. Northcord Model Company is also creating new design standards within the interior of both saloons. 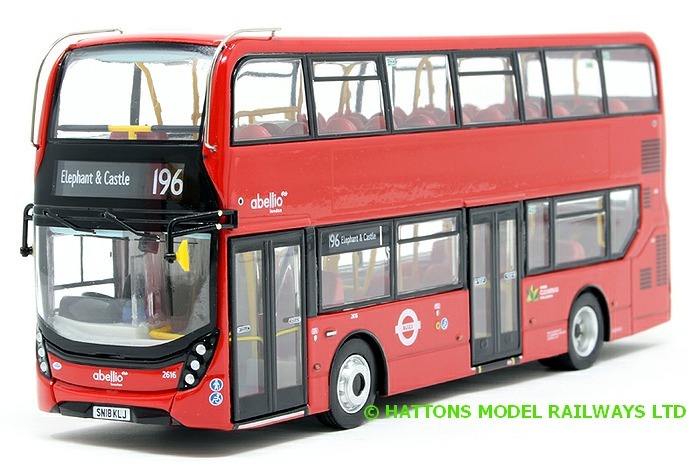 These features, inside the compartments, will represent the real, outstanding layout of the Enviro400 MMC, such as the extensive portrayal of handrails on upper deck and lower deck, etc. 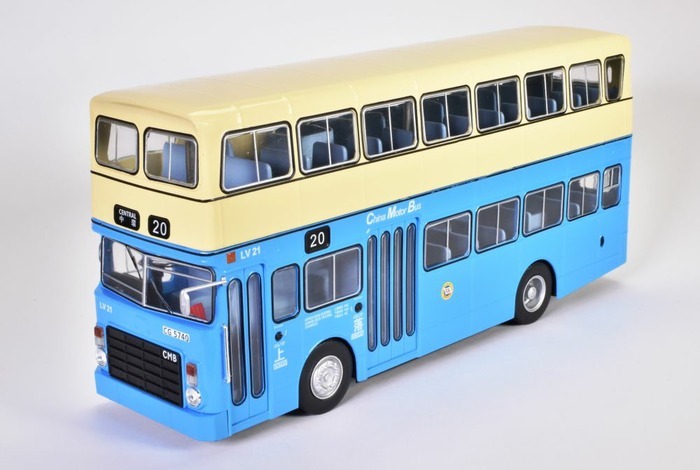 The brand new 10.9 metre Enviro400 MMC bus models will be distributed by Concorde Hobby Shop (HK) & John Ayrey Die-casts Limited (UK) respectively. The ukbus 6508A and 6508B models are each limited to 600 pieces worldwide respectively. 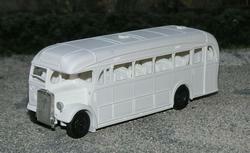 Northcord Model Company (NMC) ------The World�s Miniature Bus Co.
Foden bumper with or without number plate. 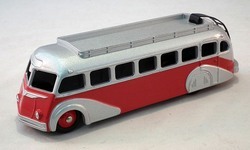 Etched nickel silver �1.20 plus postage. 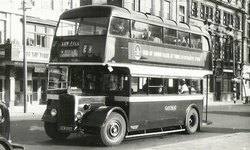 Postage rates are to be increased from the 25th March to cover the upcoming Royal Mail increases. 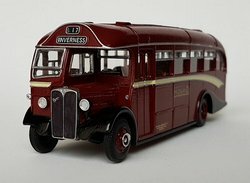 See supplement below for details. 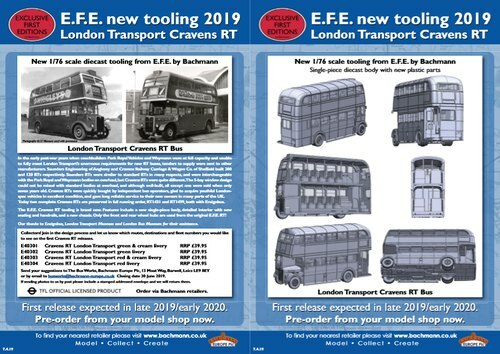 View March 2019 catalogue supplement to the last full catalogue issued in August 2015 that contains the full lists of kits & detailing parts. 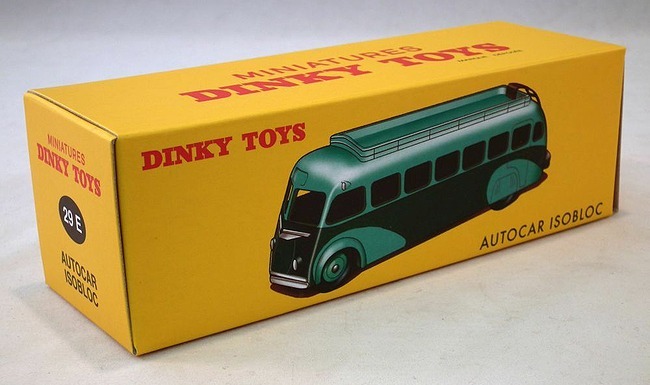 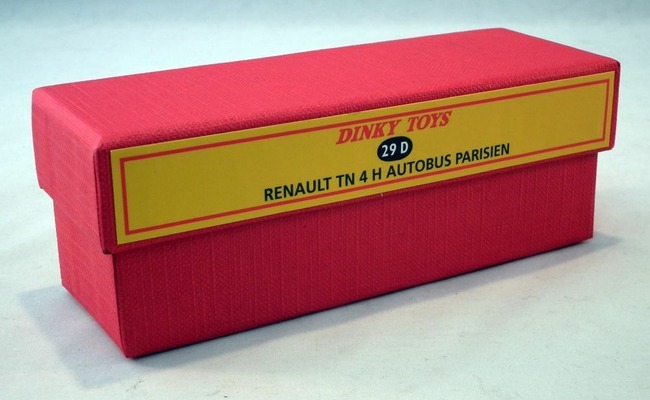 Wholesaler John Ayrey Diecasts has secured a limited quantity of the Replica Dinky Toys models that have previously been produced for the for the Atlas Edition Partworks. 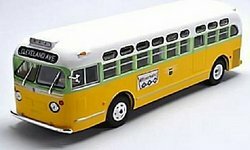 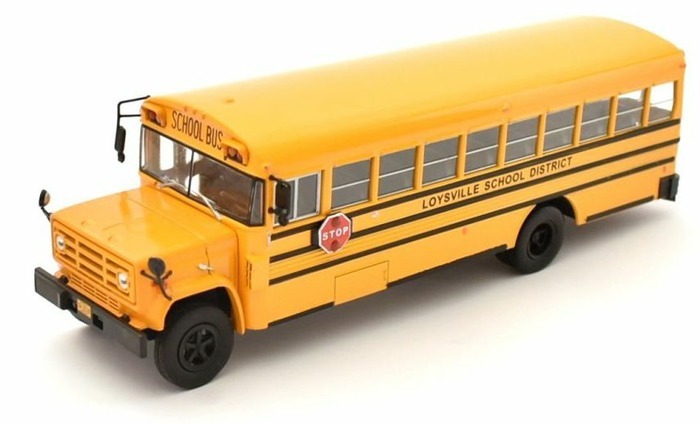 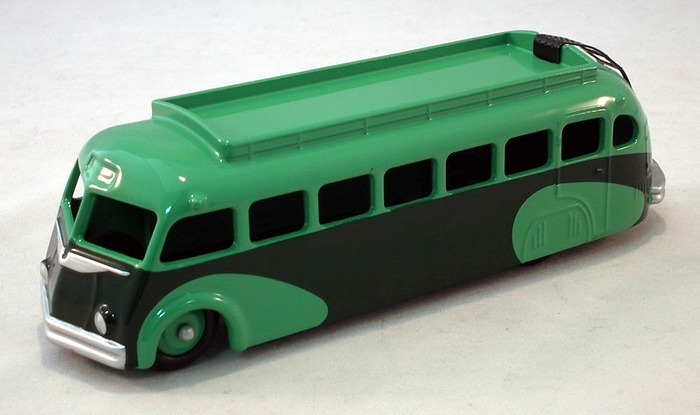 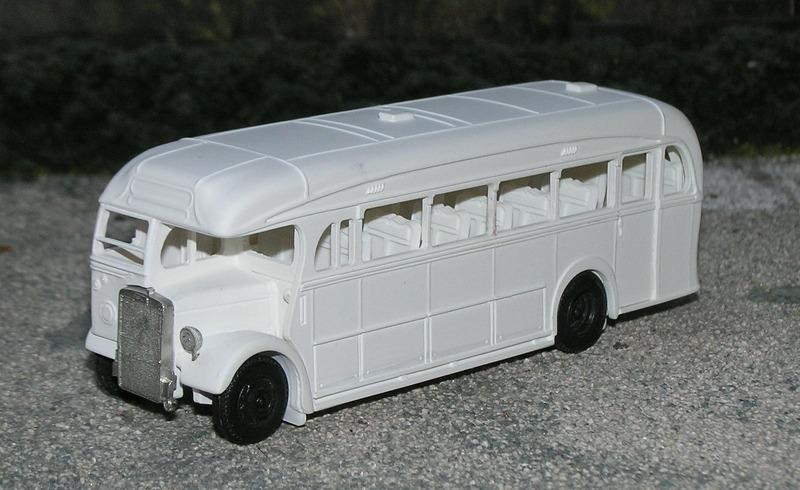 Below are the bus models, details of how to orders these can be found on YWBC website. 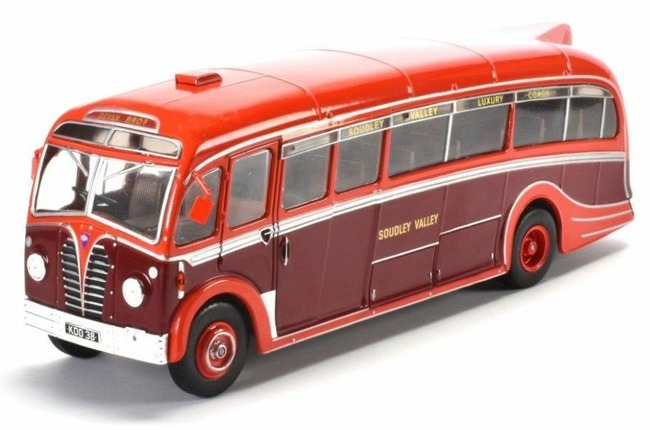 The Yardley Wood Bus Club will also have a selection of other British cars, vans & lorries from this range. The full list of all the models secured by John Ayrey can be found HERE along with photographs. The majority of theses models are based on items from the French Dinky Toys range.